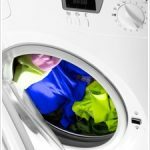 According to an article published last year, those within the 16-24 year old category are the most likely not to know how to use a washing machine. To help those who are unsure how to use their washing machine, we offer advice below. Before washing any clothes within your washing machine, it’s important to make sure that you keep the following “Do’s” and “Don’ts” in mind. 1) Do group items made from similar materials together and also wash garments based on colour. 2) Don’t overload the washing machine – this can offset the balance of the drum and cause the cycle to fail once it reaches the spin cycle. With each of these “Do’s” and “Don’ts” in mind, you can begin washing, and to get the best out of your appliance, we recommend following these small steps. Over recent years many of us have been opting to wash our clothes on a cooler temperature, unfortunately washing on lower temperatures can increase the risk of bacteria building up within the appliance, which in turn results in a smelly washing machine. To limit the risk of unpleasant odours building up within your appliance, and to ensure that your clothes are thoroughly washed, it is advisable to make sure you’re selecting a wash temperature which is as close as possible to the maximum temperature mentioned on the garments’ care label. The second piece of information you’ll find on your garments care label is the spin cycle information. This indicates the wash cycle the items can safely withstand, but this is not the same as the temperature information, and it is important to pay close attention for both. When selecting the spin cycle for your wash, as a rule of thumb, nylons and synthetics can go on a lighter spin than other fabric types. When adding the detergent, whether in liquid or powder form, you should always follow the guidelines outlined on the detergent packaging. By ignoring these and putting too much detergent in, you’re likely to be left with white marks over your clothes where the detergent has not been diluted by the water. If you do not put enough in, your clothes will not come properly clean within the wash.
Once you’ve selected the temperature, cycle and added your detergent; all that is left is to add the dirty clothes before closing the door of the washing machine and pressing start. Check pockets for debris such as keys and loose change – loose debris left in pockets can cause damage to the machine, which could result in repairs needing to be carried out. Soak heavily soiled clothing to reduce dirt – if the stains on the clothing are that heavy, when soaking it may be advisable to use a stain remover to lift some of the dirt. Whilst the controls for each washing machine will vary depending on the make and model, by following these four simple steps and paying close attention to the care labels on the clothing, it won’t matter whether you’re washing nylons, synthetics or cotton, you’ll have whites, whiter than white.